► How to open a .JNLP file? ► How to open a .JWS file? What is a jsp file and how do I open a jsp file? A  JSP  file extension is given to a server-generated web page containing Java code. The code is parsed by the web server, which generates HTML. Since the Java code is parsed on the server, the end user never sees the JSP code, but only the HTML generated by the Java code in the page. JSP allows Java code and certain pre-defined actions to be inserted with static web markup content, while the resulting page is being compiled and executed on the server to deliver a document. The compiled pages, as well as any dependent Java libraries, use Java bytecode rather than native software format. Like most Java program, they must be executed within a Java virtual machine (JVM) that integrates with the server's host operating system to provide an abstract platform-neutral environment. JSP pages can be edited using a development program or basic text editor such as NotePad or WordPad. HOW TO OPEN A .JSP FILE? Launch a .JSP file, or any other file on a computer, by double-clicking it. If the file associations are set up correctly, the application that's meant to open the .JSP file will open it. It's possible you may need to download or purchase the correct application. It might be possible that you have the correct application on your PC, but .JSP files aren't yet associated with it. 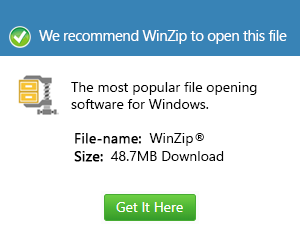 In this case, when you try to open a .JSP file, you can tell Windows which application is the correct one for that file. From then on, opening a .JSP file will open the correct application.